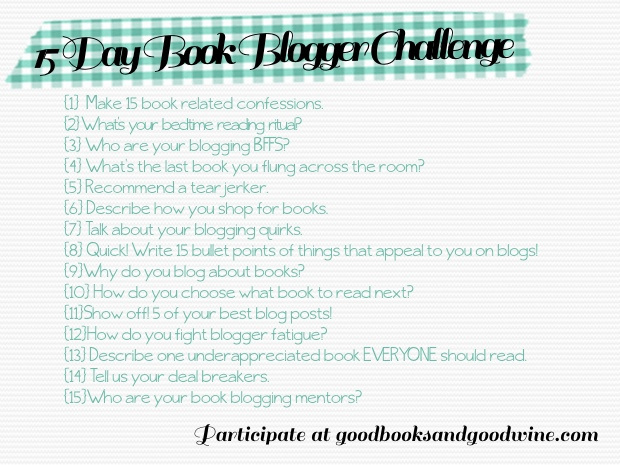 The topic for day 14 of the 15 Day Book Blogger Challenge (started by April at Good Books and Good Wine) is dealbreakers. 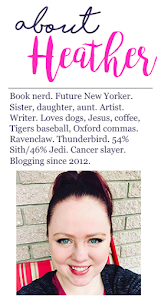 Authors who over promote themselves on Twitter -- sure, use it to promote, but also use it to connect to your readers! You'll gain a far more loyal audience that way! Bloggers, authors, publishers, etc., who re-Tweet everything they see, even if it has nothing to do with their books. Books that are too slow for too long. I know that it takes awhile to build up a plot, but if you don't have something in the first 30 pages that is really gripping, I'm probably gonna give up on it. And if you do have something really gripping, but then the plot bottoms out for a long time, I'm probably gonna give up on it, too. Know how to structure your plot so that highs and lows are well-spaced!